CM 1/c Allan R. Moring, son of Mrs. Charlie Moring, attended Frederick School; husband of the former Virginia Siabald. 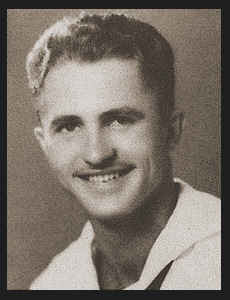 Entered Seabees in May, 1943, trained in Camp Peary, Va., New Riber, N. C., Lousiania; served in Hawaii and the Phillippines; was honorably discharged. Awarded Asiatic Pacific Ribbon, Am. Theatre and Victory Ribbons.